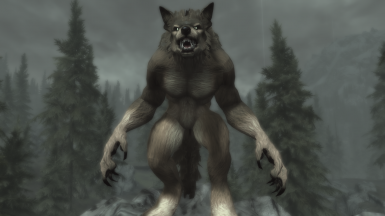 I know there's plenty of werewolf remodels out there, but I felt like resculpting the werewolf according to my personal tastes. 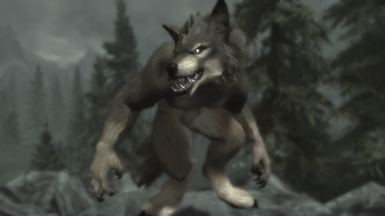 They're now bulkier (but also fluffier), have slightly more bent claws, more canine-like ears and face, and more beastly teeth. 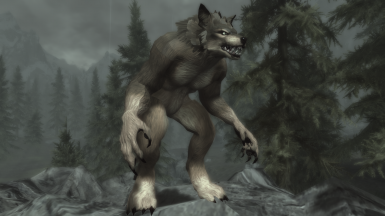 In other words, I wanted them to look like the stereotypical werewolf, both bulky but also slightly more wolf-like. 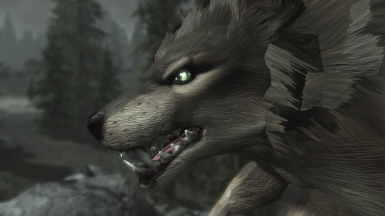 Also be sure to check out my fluffy werewolf retextures﻿﻿, they should work in Oldrim too. PS. If you're willing to add additional parts (privates, etc), it's easy. 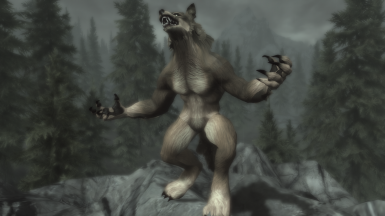 All you have to do is to open the werewolf/body mesh in NifSkope, then you open another model which has the part(s) you want, right-click on said part > Block > Copy Branch, then you go to the window of my model, right-click on the root node > Block > Paste Branch, then you can go ahead and save the model.